It may not last. But at least for now, Federal Innovation Minister Navdeep Bains has refused to respond to NASA Administer Jim Bridenstine's request for Canada to fund a multi-billion dollar 3rd generation Canadarm contribution to the proposed NASA Lunar Gateway (also known as the Lunar Orbital Platform-Gateway or LOP-G), the next generation orbital outpost and staging platform NASA expects to build sometime in the 2020's. 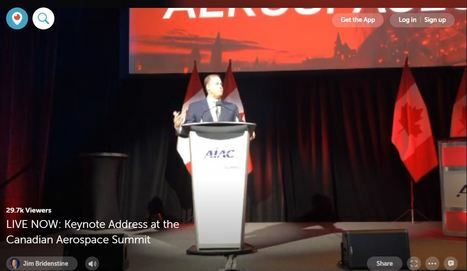 AIAC president and CEO Quick (left) with NASA administrator Bridenstine (centre) and innovation minister Bains at the Canadian Aerospace Summit, which was held in Ottawa ON from November 12th - 14th. According to Bains, "we obviously can't replicate the Silicon Valley model here," but the Canadian focus on basic research and the funding for a variety of smaller, space focused projects is the best way for Canada to develop an ecosystem of innovation. According to Bridenstine, "we can't (reproduce Silicon Valley) either," but the US offer to Canada to contribute Canadarm expertise to the Lunar Gateway will maintain and grow existing Canada/US partnerships and can be bartered for new flight opportunities for Canadian astronauts. The complete, but surprisingly short, presentation is available online here and begins at approximately the twelve minute mark. Video c/o @ISED_CA. Bains was put on the spot by Bridenstine on the final day of the 2018 Canadian Aerospace Summit, held in Ottawa ON from November 12th - 14th, during a panel discussion on Canada US space cooperation chaired by Aerospace Industries Association of Canada (AIAC) President and CEO Jim Quick. As first reported in the September 18th, 2018 post, "Colorado Based Maxar/MDA Asking for $1-2Bln to Build Another Canadarm for the US LOP-G," most of the pressure for Canadian participation in the program is being organized through Westminster, CO based Maxar Technologies, which expects its Brampton ON based MDA Space Missions subsidiary to receive the lion's share of the government funding needed for any substantive contribution to the US program. But participants in the lobby effort also include NASA representatives such as Bridenstine and Bill Gerstenmaier (the NASA administrator for human exploration and operations, who visited Canada earlier this fall), plus senior members of the Canadian Space Agency (CSA), the Aerospace Industry Association of Canada (AIAC) space committee and members of the #DontLetGoCanada coalition which, as outlined on the Don't Let Go Canada website, are currently lobbying the Federal government for a "fully funded space strategy" wrapped around a "third generation Canadarm" for the Lunar Gateway. The original plan was to co-ordinate a campaign culminating in a Federal government funding announcement sometime in the fall of 2018, a situation which would certainly have helped the bottom line at Maxar. As outlined in the November 1st, 2018 post, "Maxar Technologies Share Price Collapses After Q3 Earnings Report Released," the company has been going through some difficult times lately. Bridenstine didn't come to Ottawa cold. At the very least, he came with a substantive presentation which he shared earlier in the day. According to Bridenstine, Canada has made a "critical" contribution to US space exploration since the 1950's and should continue to do so. "I am here, as the NASA administrator, to ask for the support of Canada in support of Space Policy Directive 1 — our return to the moon,” he said. “We can’t achieve what we want to achieve in space if any of us goes alone.” The complete presentation is available online here. Video c/o @ISED_CA. As outlined in the November 15th, 2018 Space News post, "Canada not sold on US-led lunar Gateway despite NASA boss’ direct pitch," Canada has essentially not yet decided to move forward with the Lunar Gateway and is still examining the project. 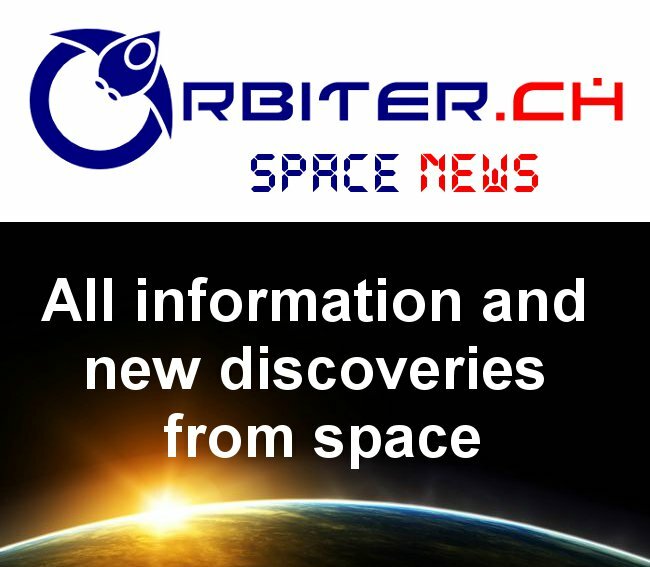 According to the article, Bains told journalists at the Canadian Aerospace Summit that the Canadian government now hopes to release a "new space plan" by the end of next year, a time frame which could potentially push out any formal announcement on space policy to just after the next Federal election, currently scheduled for sometime on or before October 19th, 2019. Other articles, such as the November 14th, 2018 SpaceQ post, "NASA Administrator Asks Canada to Participate in Lunar Space Station," are kinder to Bains, stating only that he "promised to unveil a new Long Term Space Plan before the end of the administration’s mandate in late 2019." Which is a good way of saying that Bains and the Justin Trudeau government might not want to pay any more attention to this matter unless its an important issue relating to their re-election. Space is For Cookie. That's Good Enough for Me!